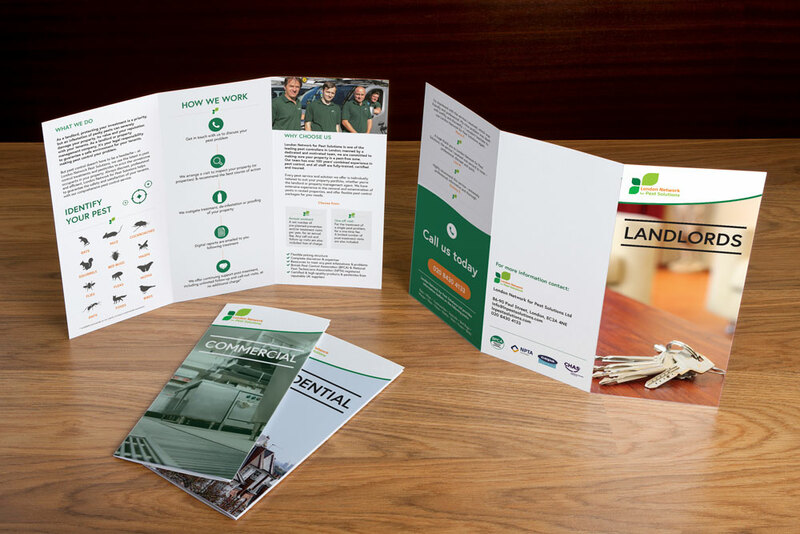 To re-write, re-design and refresh London Network for Pest Solutions’ (LNPS) promotional print collateral. 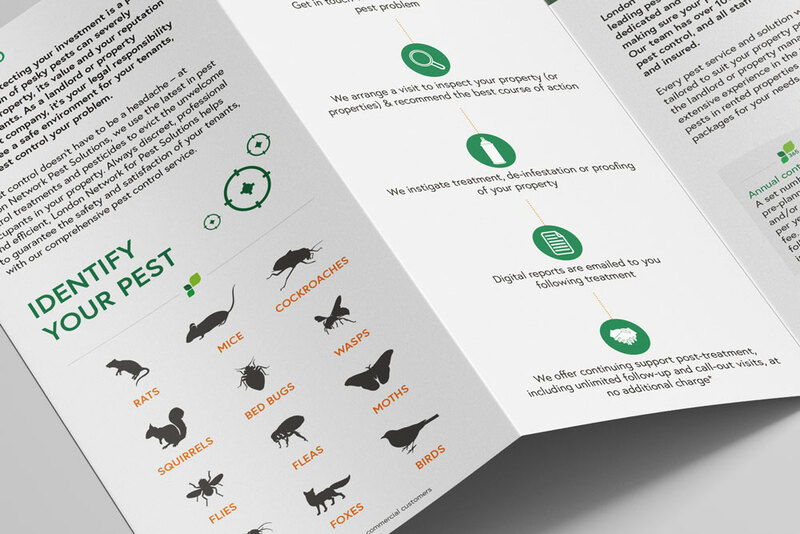 RONIN was approach by LNPS to write and design new print material to promote its extensive range of pest control services, as well as continuing to raise its profile in and around the city of London. Working with an existing colour palette of a trio of greens and orange, and the LNPS logo, RONIN’s designers created a suite of sleek and sophisticated promotional materials. We created brand cohesion across the leaflets, pamphlets and corporate brochure using subtle design touches, whilst simultaneously tailoring each item to appeal to its different target audience – the general public, businesses etc. This strategy was also applied to the content, with RONIN’s copywriters crafting compelling copy which also reflected LNPS’ years of expertise and experience. The result? A collection of visually persuasive promotional collateral which is pretty damn ‘fly’, if we do say so ourselves.